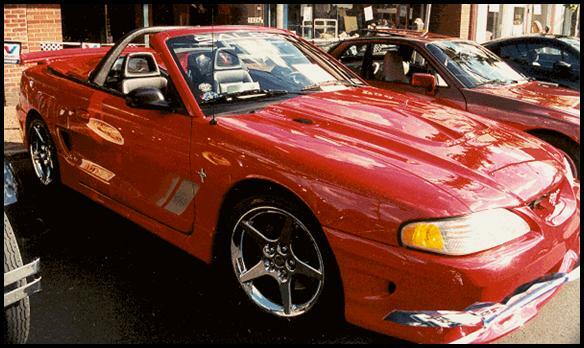 My Saleen participated in the Pittsburgh Vintage Prix Grand Prix Car Show on July 17 & 18, 1999. Check the Pittsburgh Vintage Grand Prix Association Web Site for more information about the organization and the charity fund raising event for the Allegheny Valley School and The Autism Society of Pittsburgh. The Pittsburgh Vintage Grand Prix is a race for vintage automobiles. 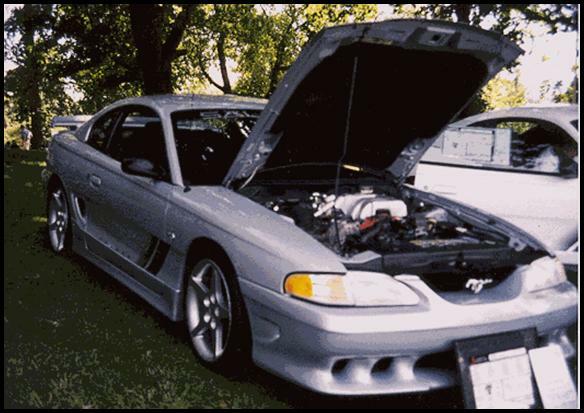 Car shows are also held to help celebrate the event. 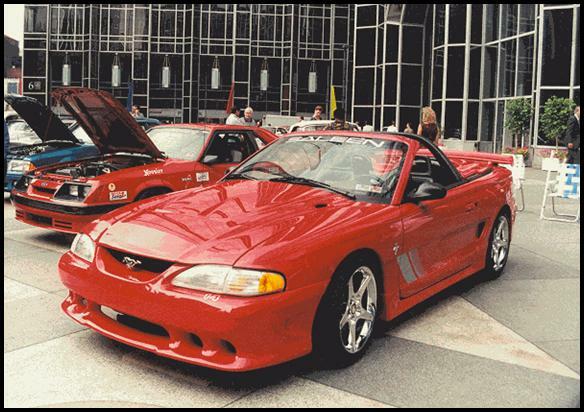 In honor of the 35th Anniversary of the Mustang, the Greater Pittsburgh Mustang Club and the Saleen Owners and Enthusiasts Club participated in the two day car show display. 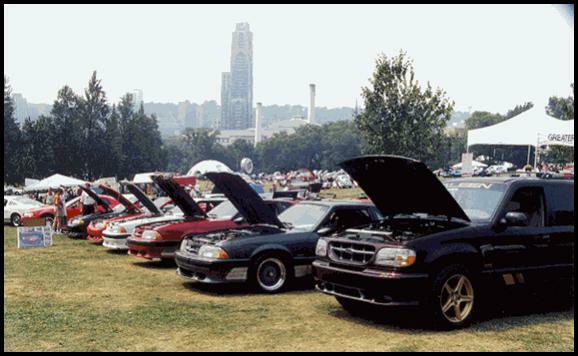 As the Spotlight '99 Vehicle, the Mustangs and Saleens participated in a parade lap of the Schenley Park race course on Sunday, July 18, 1999. 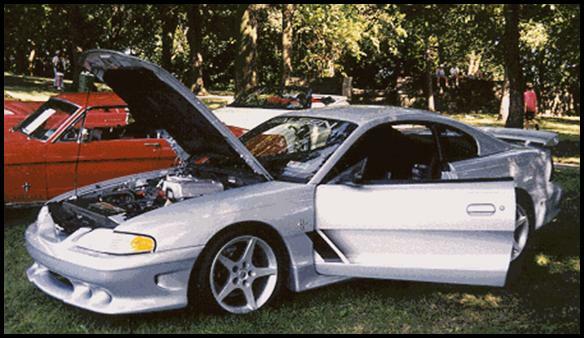 The event was a scheduled regional activity for the Saleen Owners and Enthusiasts Club. 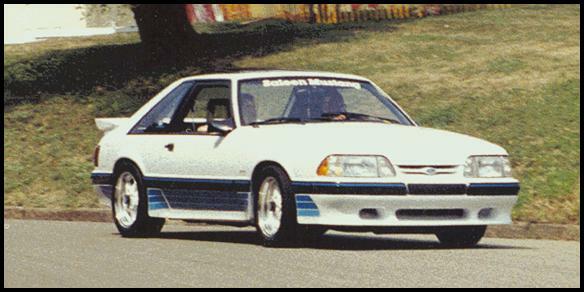 We would like to see this event become an annual regional gathering for the Saleen Owners and Enthusiasts Club.